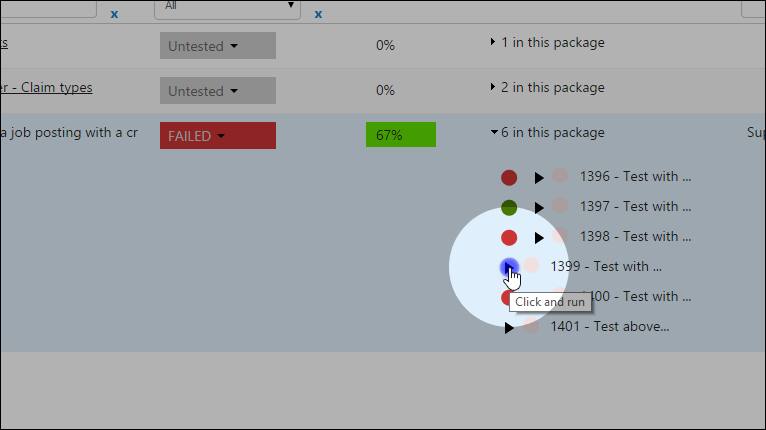 TestPoint has released its latest Test Methodology to Vansah 4.7, introducing advanced test management practice supporting accelerated test planning, execution and rapid reporting for complex test projects. 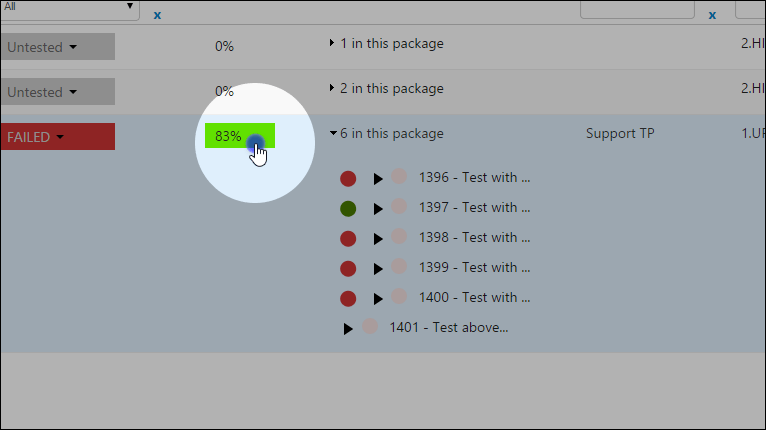 Removing a requirement from a test package. 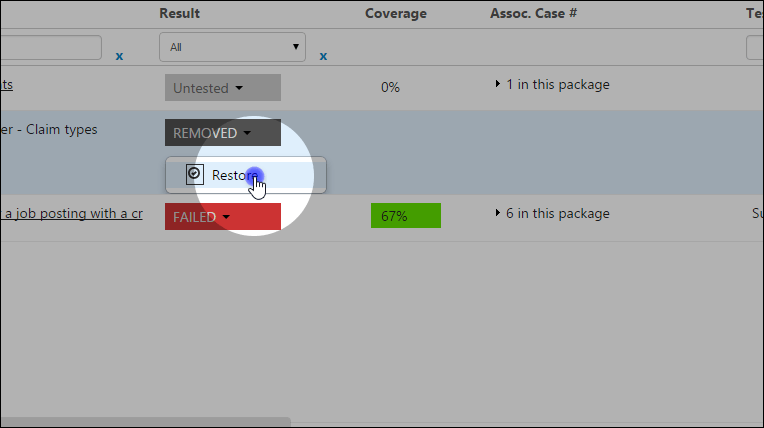 Removing a requirement from a package will assist in a situation where a test case is associated with a requirement but may not need to be tested under the package. 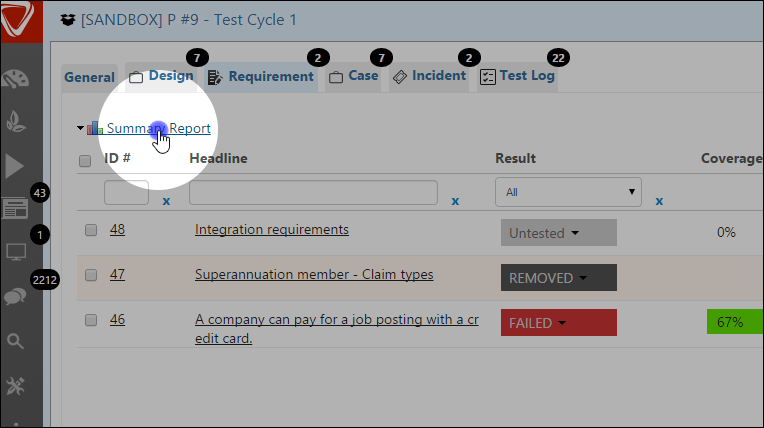 All associated Test Cases will not be included in your test summary report. 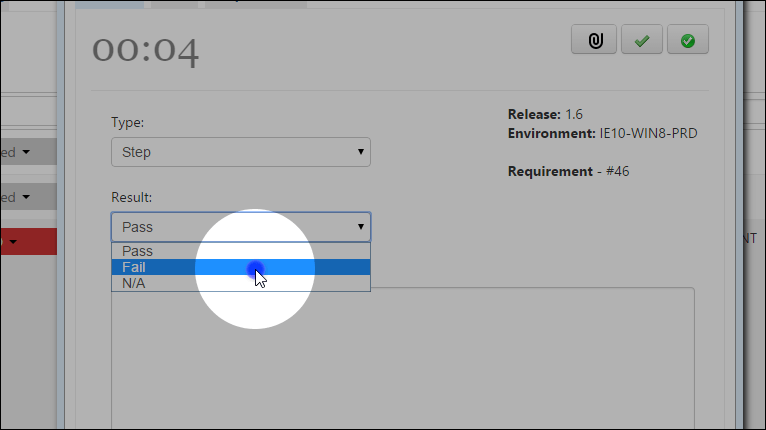 To Show your hidden/removed requirements click show hidden requirements at the bottom of the grid. 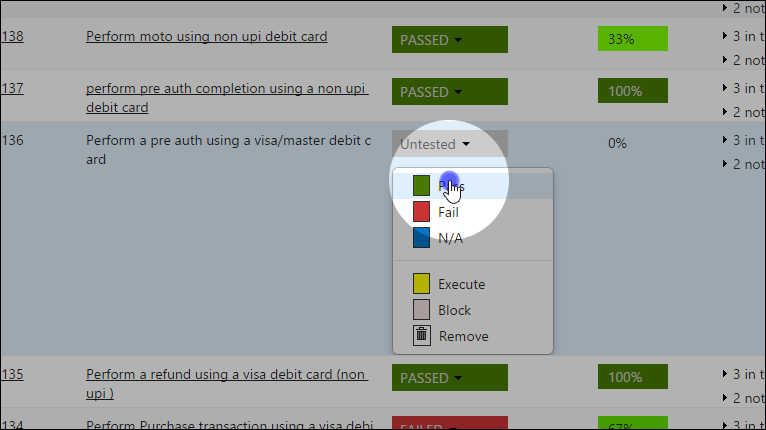 Blocking a test case associated to a requirement. 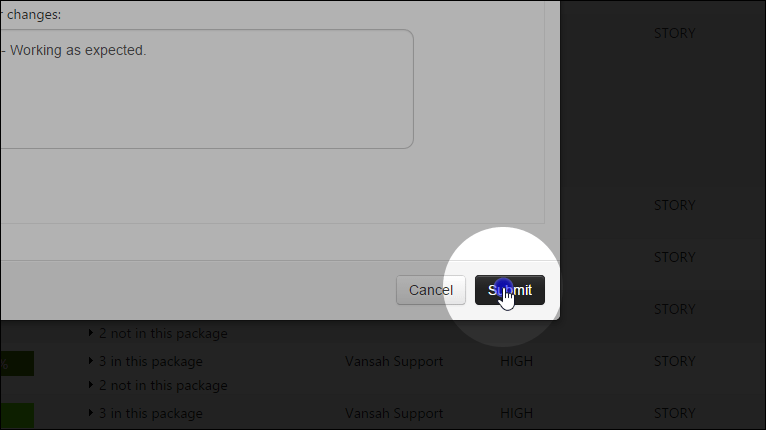 requirement it is associated to within the package. 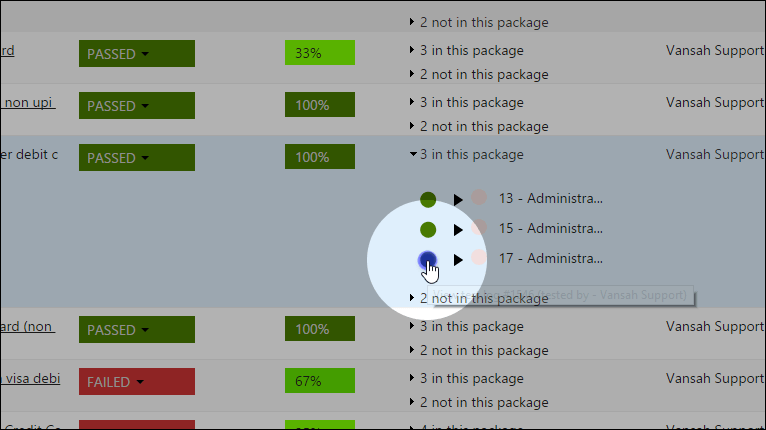 Click on the associated case column besides the requirement and find the case you wish to block. 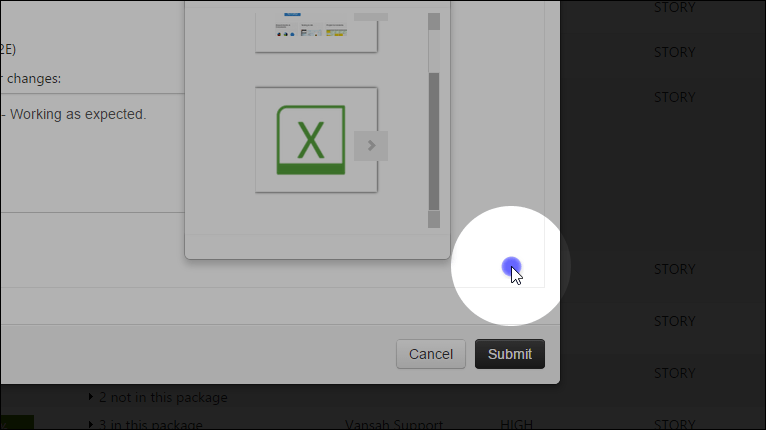 Click on the Block case icon. Blocking a case linked to a requirement will only block the case from being tested against the requirement. 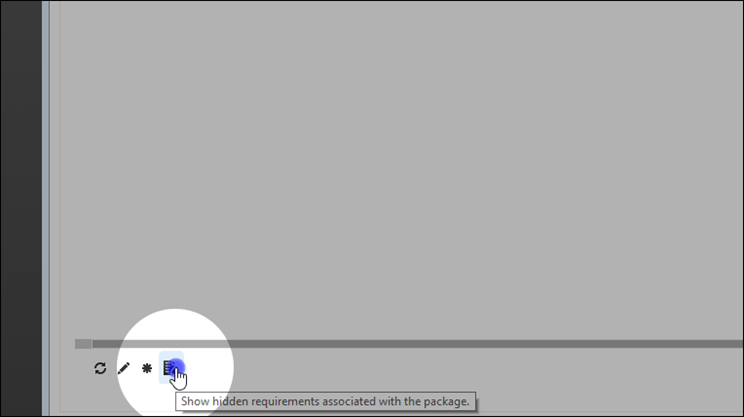 If the case is linked to another requirement it will not be blocked. 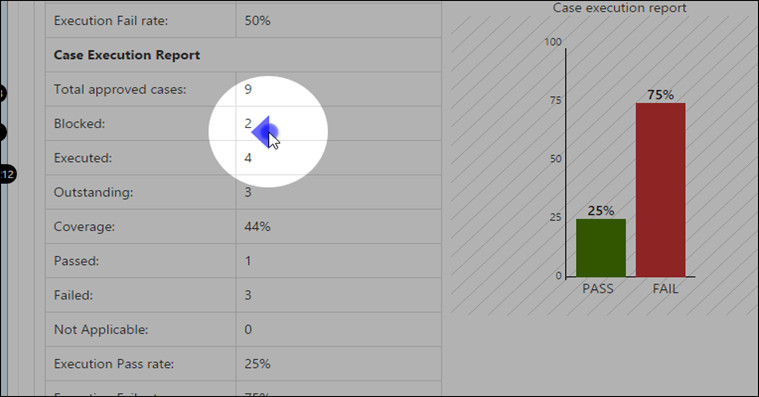 Now blocked case Count should increase in your test summary report. We then execute test case 1399 against requirement. 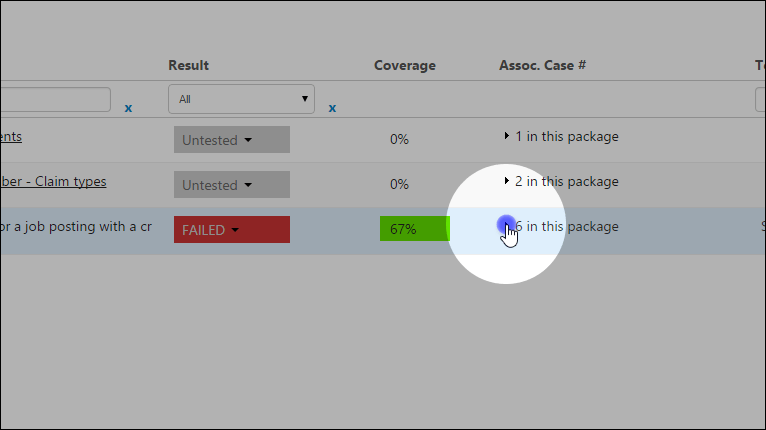 Now the test coverage is 83% leaving 1 more test case to be executed to achieve a 100%test coverage. 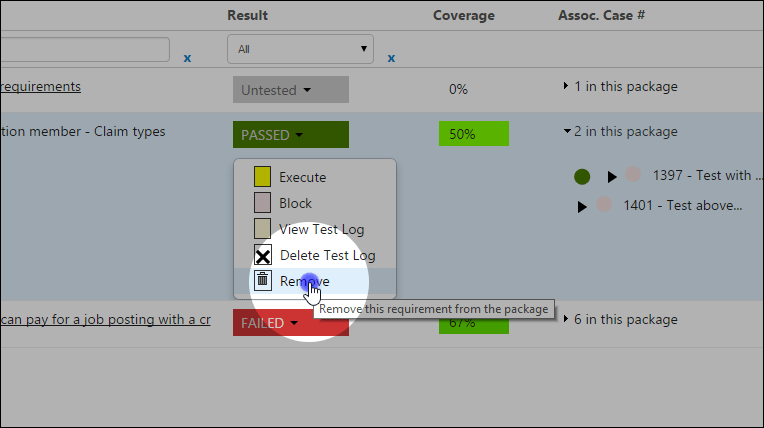 Execute all test cases against a requirement by simply selecting the Result from the Drop Down. All Approved Test Cases associated with the Requirement will be listed as shown below. Simply select All or the case/s you wish to test. 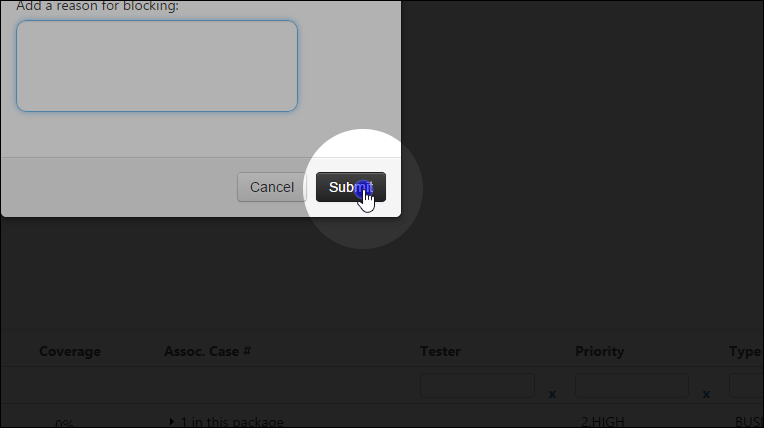 Upload an attachment or screen shot to attach to each test log. 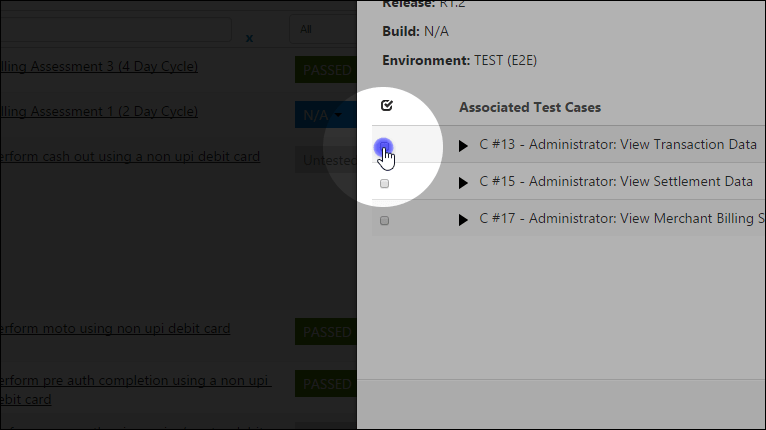 Add a comment for each test log. 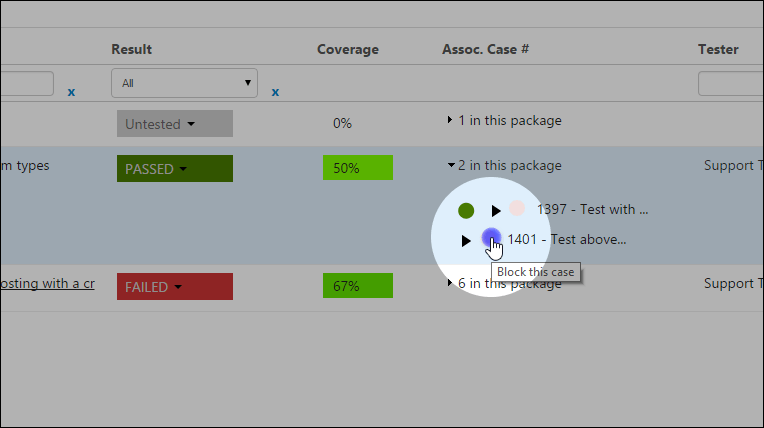 Now your Test Coverage is 100% and all cases will be updated with the test result.